We manage every aspect of your project, from first permit to last light bulb. We are always available to you, providing constant communication and updates, with no surprises. We innovate, create, and lead the team to build you a custom home that is truly special, a home that is strong and beautiful and built with excellence. A home that is uniquely you. We only count it done when you say, "We wouldn't change a thing about our home or the wonderful experience of working with Bernhardt Building." We've been told that our workmanship is extraordinary and you'll miss us when we're done. No problem—we'll take care of your home for years to come. We want you to love it forever. John Bernhardt and his crew make an extraordinary team. Not only do they show up on time and put in a full day, but their workmanship is excellent. John Bernhardt is a pleasure to work with, quick to understand what the client wants, and then to respond. His goal is to provide top quality work and make his clients happy. He more than succeeds. 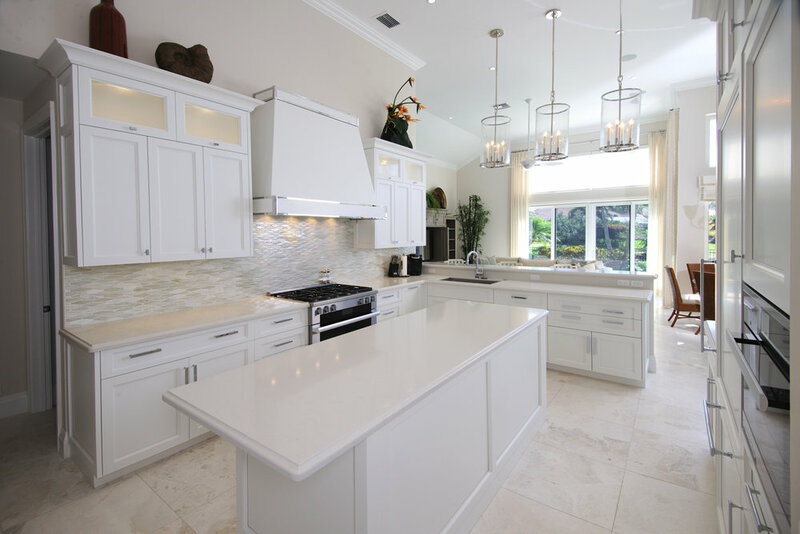 We are happy to share our wonderful experience working with Bernhardt Building & Remodeling. We were referred to John by neighbors who also worked with him. Being from out of state, it was very important to have a reputable, trustworthy company to work on our home. Things went even better than we expected. John guided us through everything and always kept us informed. I highly recommend Bernhardt Building & Remodeling for a complete renovation or a newly built home. They are extremely efficient and a pleasure to work with. ALL RIGHTS RESERVED | © 2018 BERNHARDT BUILDING & REMODELING, INC.